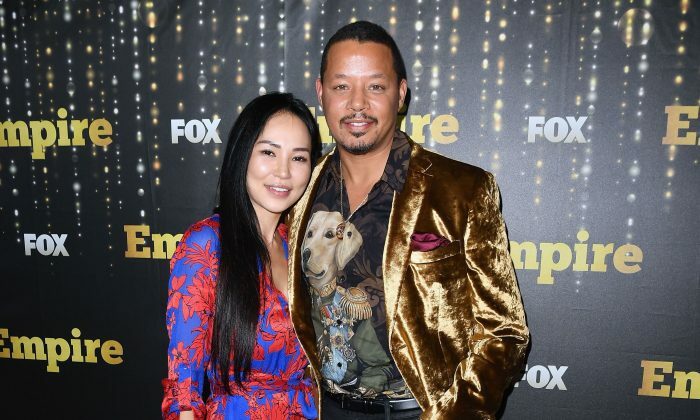 On Christmas Day, actor Terrence Howard, star of the television show “Empire,” shared photos and video of his new engagement to his ex-wife Mira Pak on his Instagram page. Howard proposed for the second time just three years after the couple split, at Crustacean Beverly Hills over the weekend. In one photo, Pak could be seen wiping away a tear as Howard slipped a large diamond ring on her finger. “It took me 45 years to find you, but now that I have you in my 50th year, I’ll spend the rest of eternity by your side. And I pray that everybody finds that one that will complete them for all eternity, because it means everything. I love you,” said Howard in a toast during the event. “I love you too, baby!” said Pak. The jeweler posted a separate video of the stunning ring on the same day and congratulated his friend on the engagement. Howard stars in the television series “Empire,” and he’s well-known for his roles in films such as 2005’s “Hustle & Flow,” which earned him nominations for the Golden Globes and the Academy Awards. The couple shares two sons: 3-year-old Qirin, and 2-year-old Hero. Pak had filed for divorce in March 2015 while pregnant with Qirin, stating that she and her husband had not lived together for months, according to documents obtained by New York Daily News. The divorce was finalized in July of that year. Howard and Pak were originally married in Canada in October 2013, and their secret divorce came as a surprise to the public. However, later that year, they appeared to be very close with each other. In October 2015, Howard tweeted a photo of the pair celebrating their anniversary, and he called Pak “My Life’s Love,” hinting that their relationship still seemed to have a chance. It’s not the first time Howard has proposed to an ex-wife. He also wed Lori McCommas in both 1989 and 2005, according to TMZ, and married Michelle Ghent from 2010 to 2013. He and McCommas have three children together.